Hi, it's Gini and I'm back to share another card for all of the Technique Junkie fans! 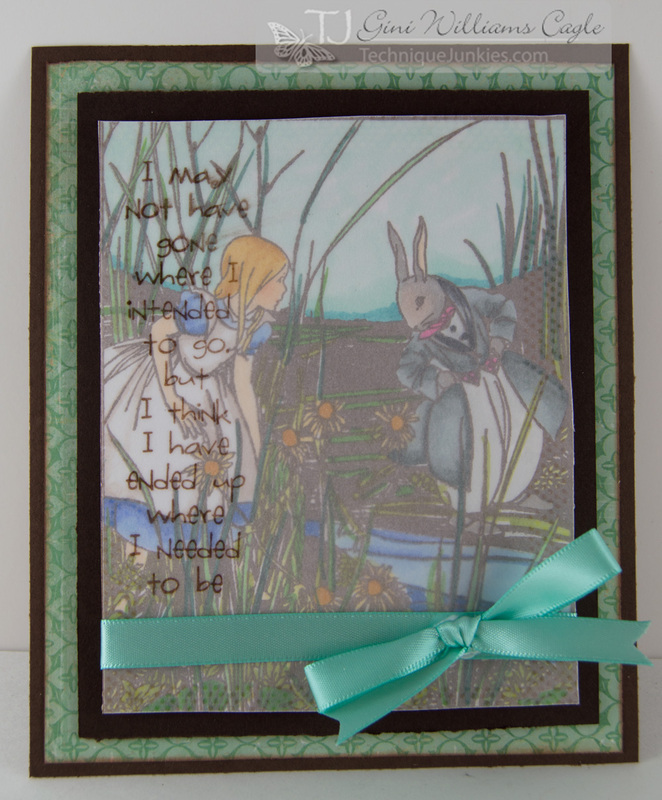 I love this very vintage image of Alice, but wanted to create a card that gave an antique type feel. My solution...? I stamped the image and colored it with Spectrum Noir markers, and then placed a vellum overlay with my sentiment over the top. It almost gives a dream-like quality.